Of course, the caveat to this deal: it’s valid only for new customers. For those of you loading up your cart with over $50 in Amazon merchandise to get free standard shipping, I’m sure over time you’ve realized how pricey that can be. Come the holiday season, having a Prime membership will have already paid for itself with free 2-day shipping alone. 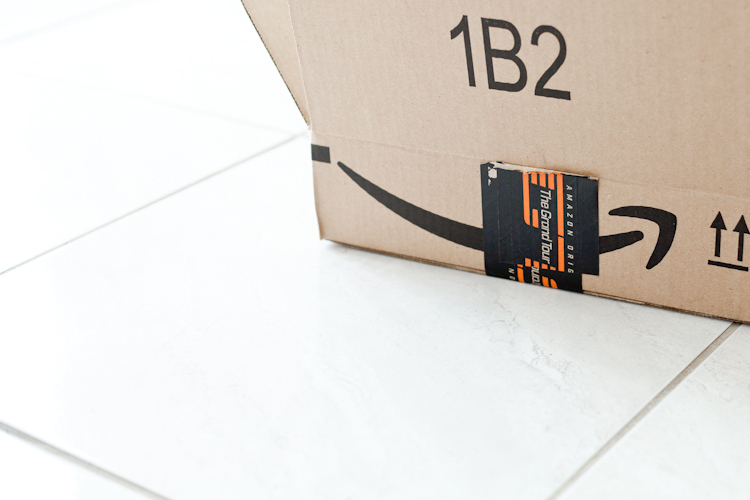 Amazon prides itself on meeting delivery deadlines – you can even get a free one-month extension if a delivery has been delivered late! Read my blog here to see how. Aside from excellent shipping service, you’re also getting a number of perks. I get free music on my phone with Amazon Music, and it’s pretty much replaced my Spotify subscription. And directly through my Sony Smart TV, I get access to Amazon-produced TV shows! There’s so much more I haven’t even utilized, like free photo storage and free Kindle eBooks too. My most favorite perk of having an Amazon Prime membership is being able to take advantage of free shipping on hundreds of $1 Amazon items with Elite Deal Club! Read my guide to Elite Deal Club here and see some of my best pillages – just this week I got a set of 100% copper Moscow Mule mugs for only $2!!!! Even if you are personally not an Amazon shopper, many of your friends who are Amazon maniacs would love an Amazon Prime membership. You can gift Amazon Prime too. If you’re still on the fence about spending money on Prime, you can still try it free for 30 days through my link. Make sure to grab your Amazon Prime Membership soon, since the deal is for today only!